Intriguing photos serve to introduce, as well as illustrate the theme of each autobiographical essay. Castle unveils her perspectives on love, family, relationships and sexuality, all accompanied by her wicked wit. Nothing has been held back, especially in the title essay, ‘The Professor’, in which she relates her relationship with a female professor. There were times when reading through the book was overwhelming, with the sheer amount of scholarly information that backed personal details. One essay, ‘Courage, Mon Amie’, is a fascinating study of the author’s obsession (or ‘war fixation’, as she puts it) with military history, inspired by her desire to find the gravesite of her great-uncle, who died during WWI. As British-born Castle makes the rounds of France and Belgium, you’re drawn into her search. There are detailed descriptions of the cemetery, trenches, tiny museums, and other military haunts she visits, sometimes alone, other times with a relative. While it may be off-putting to some readers, the author’s passion for war and its trappings is phenomenal, especially as she struggles (as many of us did back in 2002) with myriad emotions in the aftermath of the 9/11 attacks. Another essay, ‘Home Alone’, deals with America’s captivation with design (or shelter) magazines, and the desire to create a space, some sort of secured home of one’s own. Castle admits her own ‘shelter-lit addiction’, relishing in flea market finds and eagerness to get her hands on the latest mag candy. She asserts that it “is all about consumption, luxury goods, and the pipe dreams of upward mobility” that drives one to seek this decorative nirvana. Enhancing her dead-on commentary are quotes from American interior design experts Elsie de Wolfe and Mario Praz, and those from the publishing staff of some of the magazines mentioned in this piece. This essay was a much easier read than the one above. 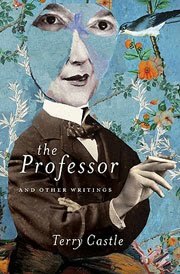 In conclusion, if essay collections laced with scholarly insights and biting humor are your cup of tea, then you’ll want to give The Professor and Other Writings a look. Caution, friends, I want your opinion! Some days I don't know what comes over me. Basically, a friend threw down the challenge for me to enter a writing contest. Convinced to do so, I became so happy to oblige that I managed to write two entries. Since I don't have a writing group I belong to (because of time constraints), I decided to send out a draft of the essays to friends and family--I wanted to know which essay worked better, based on the contest guidelines. Like most writers, I appreciate constructive criticism when a reader stays on topic. However, I wasn't interested in line edits, digs at a friend's own spouse, my "poor" selections of reading material or contests, my faulty memory or negative comments about my choice of friends and their challenges. I think the responses shed many lights on the joys of writing: the subjectivity of one's readers and the inevitability of leaving one open to criticism, no matter the subject. But when I run into someone who has read my blogs or one of my newspaper articles, I hear how wonderful the piece is...and then, why won't the newspaper do a better delivery job in their neighborhood. Interestingly, I never hear the negatives and just glowing accolades (which seem slightly unrealistic, but who am I to fight that battle?). But, ask someone by e-mail and you learn a lot more about your friends and family than about your writing or the topic of your essay. It was certainly an eye-opening experience, probably one I'll hesitate before trying again, especially since voting is running neck-and-neck between the essays. It will be tough to decide which essay to submit. I'll have to rely on my own faulty subjectivity. Yikes. So, next time a friend convinces me to enter a contest and I decide to send out the essay, I'll just leave my more vocal family members off the e-mail list. They can just read about it on my blog...and comment, nicely, in person. Elizabeth King Humphrey is a writer and creativity coach, who wishes she could use her delete button a lot more than she does. Besides contributing to AOL's ParentDish, she blogs at The Write Elizabeth, delving into creativity in everyday places. What is a purple cow and how do we find one? A Purple Cow, though. Now that would be interesting. Seth was talking about marketing your business or product, but I found his words incredibly wise, or “sage” (as Sue likes to say, ;-) ). If you see something too often, it’s not going to appeal to you. Your eyes will glaze over and you’re on to the next thing. This is particularly true in this day and age. But it wasn’t before. As time goes by and we advance in technology, a scary thought is that someday everything will be done. What would happen then? A hive-like mentality? All for the greater good? No means of expression? I shudder to think about that future. Seth was talking about how the old advertising standards simply don’t apply anymore, but the quest for the purple cow can be anything. It can even apply to your blog or your writing. As I let this concept sink in, I thought about our quarterly flash fiction contests. If you’ve never been on the opposite end of a prompt-based contest (most people haven’t—even editors in the industry for years!) then you’d find out something extremely curious: people write about the same things. I would say that our prompts are fairly loose, and give room for interpretation, but you’d be surprised at the outcome. Writers choose the same plot twists, the same surprise guest, and even the same characters! For instance, take our Fall, Winter, and Spring contests—the ones where I was actively judging—did you know that in those contests George Clooney was a bigamist? It’s the weirdest thing, but that quote came from one of our guest judges, who blindly judged entries. I laughed when she wrote that to me in an email, but the thought had already occurred to me. Believe me, there's absolutely nothing wrong with that at all, I just think it's strange how many wrote about the same celebrity! 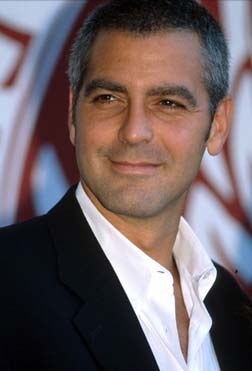 Each contest we’d have more than five women feature George Clooney in their story. He’s a hunk for sure, but oddly enough, there were no other mentions of celebrities, except for maybe one Brad Pitt reference, but no main characters of other celebrities were incorporated. Now, I haven’t a clue what this means, and the stories were completely different... but it still seems odd! Are we all interconnected in some way? Like when you think of a friend and then later on that day the phone rings? Or is it much greater? Are we moving closer to that ‘hive-like mentality’ that completely petrifies the artist in me? Besides simply mentioning Mr. Clooney (just an odd coincidence), there were many other similarities in story: same structure, same ailments, similar dialogue, beginnings, endings. Of course, our guest judges did a fabulous job of picking the winners, and the variety of stories were great, but did those elements play a hand in their decision? I honestly don't know. Perhaps on a more universal level, we’re getting to the point where everything in fiction has been done before. Where story arcs have come down to a few set methods and we have to choose one of those if we want to sell a book. Whatever it is, let’s make a pact to keep striving for that purple cow. We are all like snowflakes, each one of us is unique. There is no single person out there on the planet that can tell your story the way you can. No one else has experienced your true-life stories. You have something special to tell the world. Your personal story is, in essence, your purple cow. -- Do you think there are only a few set story arcs to fiction? And does this bother you? -- How do you feel about sharing your true-life experiences? What are your reservations? -- Have you ever found your purple cow?